With the rise of technology and growth of the internet, access to loads of information is readily available at our fingertips; all you have to do is go online. It has become rare as the days pass for people to come up with original ideas. In some ways, it has almost become a culture for people to reproduce the ideas of others and present them as their own. That is what we call plagiarism. It is when a person passes the work of other people as their own. Sometimes it happens unknowingly, but most of the times it is an intentional act done by inexperienced or lazy writers and students who wish to trick their way into good grades. While this practice is not uncommon, it has unseeingly reached its peak nowadays. With the help of a plagiarism checker, detecting plagiarism has become easy. Whether you’re a teacher, who is overwhelmed with tons of assignments to check or a student dealing with a lot of academic writing, you have to without a doubt deal with plagiarism. A Plagiarism checker is a software or service that can detect instances of plagiarism within a body of work. Finding a free online plagiarism checker that works fast, is efficient and user-friendly may be a hard task but not impossible. 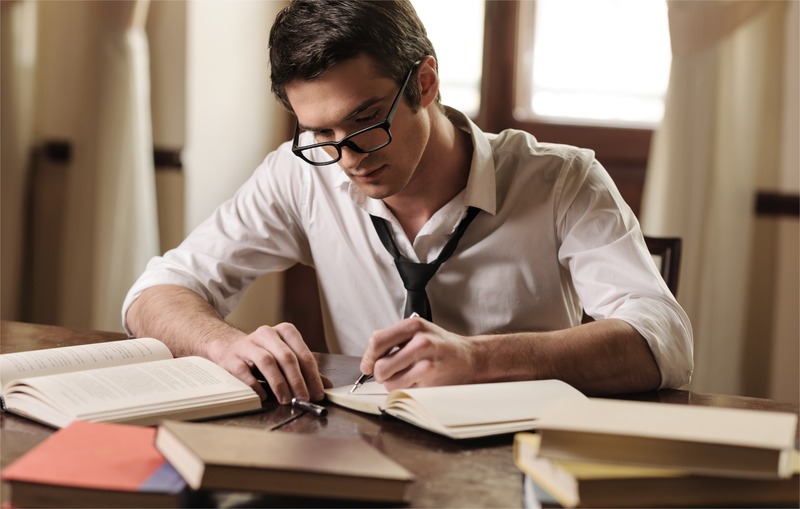 Contrary to popular belief, an excellent plagiarism checker does not have to cost you. It is important to note that every free online plagiarism checker software has its unique features. They all have advantages and disadvantages. Before settling on any of the plagiarism detectors, study them to find out which one works best for you. With these tools, you have access to multiple databases meaning that you can cross check your content through a high volume of papers. Because they search across numerous indexes and databases, you can avoid any case of plagiarism if you’re a student and for teachers, they can check the work of the students to make sure that it’s original. Sometimes, plagiarism occurs due to poor citing or quoting. Teachers can quickly tell the struggling area and can use the results found to properly educate their students on writing skills, citing, formatting among other techniques for them to come up with original content. Punishment for plagiarism at learning centers is usually severe. Once students are aware that their teachers use plagiarism checkers, they will altogether avoid copying the work of others since they know that they will get caught. Teachers should make it known so that the students can avoid this offense altogether. Avoiding this practice will enable the students to appreciate their work and develop good morals. Whether the plagiarism was on purpose or not, once you run your content on the checkers, sources with similar phrasing to yours will appear. An article or a book that you did not use may show up and may provide you with fresh ideas to add to your work. If you do this, recheck your work against the checker to make sure that it’s original. Your paraphrasing skills will also improve from this. Below are plagiarism checker free software for teachers and students. It works entirely on the cloud; the cloud-based functionality makes this software to stand out and be among the best plagiarism checker. It is sophisticated with powerful detecting algorithms that let you monitor, track and detect online content throughout the internet. You can either use it in the education department or for business. It has a variety of tools for the user. You can use the API tool to detect any plagiarized content across the internet. It has a mobile app version for convenience and an MS Office add-on for those who write in MS Word. It can scan a physical paper to check the originality of your content. To achieve this, all you have to do is take a picture of the text, and it will automatically analyze the textual content. It can scan files in popular formats such as HTML and doc from your phone or online. User-friendly. Just place the content you want, and your scanned results will be up in seconds. You cannot use it if you are not registered. Only a limited number of pages are free, i.e., the first ten pages to be exact. After that, you will get charged. Hence the user is limited. Works best if you have limited content. Only scans for online content. It is an entirely free online plagiarism checker that’s popular because of its user-friendly interface. It has a detailed guideline on how to use it listed in step by step process. If your content gets published online, you will receive an email notification. Results get produced in seconds. The results may not be entirely accurate, recheck it. It is a free plagiarism checker that has multipurpose. It uses artificial intelligence and data science to detect any plagiarized work. It continues to grow in popularity and is used in more than 140 countries. It is more than plagiarism checker free software; as it also checks for grammatical errors and acts as a proofreader. It produces results in seconds. It does not have a friendly interface. We can almost say Duplichecker is the best free plagiarism checker on the internet today. It is free software used to compare across the web your source content against others. It’s Free. Regardless of whether you use it repeatedly or as a one-time user, there are no charges, and it does not require you to pay any subscription fee. It is extremely accurate and sensitive. It allows no room for unoriginal content. Unlike many other plagiarism detectors, Duplichecker is extremely user friendly. You do not have to have previous experience to work your way around it. It provides two options for detecting plagiarism. You can either upload a Text file or a Docx from your device or paste your content in the field. Once you register for free, you will be able to enjoy up to 50 plagiarism scans in a day! For those who are not up to registering, you get limited to one search in a day. It has a word count limitation. Since it is extremely accurate and sensitive, common phrases may be flagged as plagiarism even though that’s not the case. It is an effective multipurpose plagiarism checker software. It allows the user an option to download some software. It supports more than 190 languages meaning users from around the globe are free to try it out. It has a spell checker. Can search web content from a URL. You have numerous options for inputting your files. It has a sophisticated interface. You are limited to the number of checks in a day. It offers among the leading plagiarism detection software today. It provides its services to over a million users worldwide. It is extremely user-friendly. It has no option of uploading files; you can only copy and paste. It has a word count maximum of 500. It compares text across the web, social media such as Facebook and Tweeter and in the news. Easy to use with clear guidelines for the site’s functionality. Can check up to 5000 words at a time. Not all of its features are free. You cannot upload a file if you’ve not registered; you can only copy and paste. A favorite to both the students and teachers, Viper offers the option of multiple scanning to save your time. It scans against journals, essays and sources published on the internet. It scans across 10 billion web pages. You get your results in seconds. It has an ad on services like editing. For the content that matches, it shows the URLS. It has a primary interface. It searches websites and academic databases by uploading a file or by copy pasting. You can check for free unlimited files up to 5000 words at a time. It supports six languages, i.e., German, English, Italian, French, Romanian, and Spanish. You cannot upload a file. Documents can queue for up to 30 minutes. It may not always show accurate results; you need to check, and double check. It checks online content as well as its internal databases. You do not have to install anything on the computer. It offers advice on how to avoid plagiarism and clear guidelines on how to use it on the homepage. It has integration features. You can be able to integrate it into some of your content. It offers three methods for checking plagiarism. You can upload your file from the cloud, do a direct copy and paste or import your data from the web. It’s not user friendly. It has a more advanced interface. You can only check up to 2000 words as a free trial. It does not produce instant results. While doing your research and you come across the perfect material for your assignment, take your time to read and understand it. Now in your own words, paraphrase it. The trick to paraphrasing is avoiding copying more than two words verbatim from the material you found. If you are going to quote a source, make sure it’s exactly as it appears. People frown on misquotation. Do not quote more than 30 words. When you learn how to quote correctly, you will be able to avoid plagiarism allegations as they will only be direct quotes. Among the effective ways to avoid plagiarism is citing. Follow the formatting guidelines as per your professor; it may be MLA, APA, Harvard, Chicago, etc. The information included when citing is the date, author’s name, and the year. Make sure you do it in the correct format to avoid plagiarized work. Referencing is another effective way of avoiding plagiarism. Include a page of works at the end of your research paper. Just like citing, make sure to follow the formatting guideless acceptable to your learning institution. Double check the references to make sure that they are right. Once you limit your research, high chances are that you will end up copying the material you found. To avoid doing so, broaden your reading and learn as much as you can. You will be able to come up with a new prospect and produce high-quality work that is original. Once you’ve followed the above tips, use a free online plagiarism checker to counter check your work before submission. Teachers have increasingly become vigilant on matters of plagiarism. If you wish to attain good grades and avoid any disciplinary action, run your assignment through the plagiarism checkers before submission. A free online plagiarism checker tool for both the teachers and students is a necessity in today’s educational institutions. The plagiarism checker does not only detect plagiarism but also keeps the students on their toes. Check their interface and accuracy to be sure it meets all your needs. In the end, plagiarism checkers aid the teachers to create meaningful learning experiences for the students while the students can appreciate their original content and broaden their knowledge. The use of the checkers becomes a win for everyone and comes at no cost!